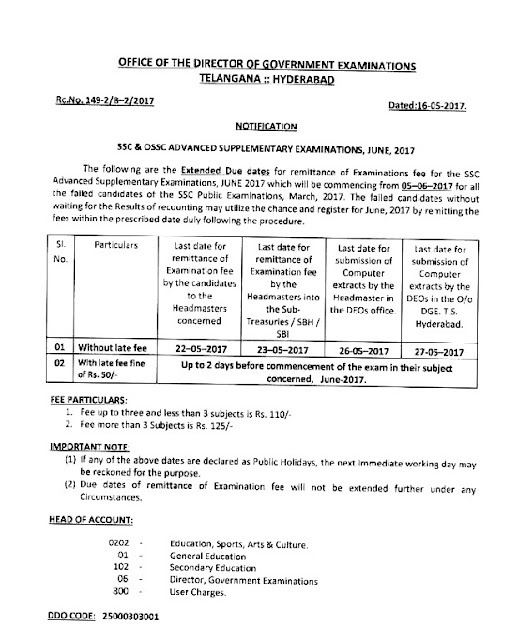 Telangana 10th march 2017 exam fees due dates, TS SSC Supplementary Fee last date 2016-17, TS SSC Supplementary Exam Fee Important dates, TS SSC/10th Class Advanced Supplementary Exams 2017 Fee Particulars, TS 10th Class Exams 2017 Time Table, TS SSC/10th Class Exam fee particulars, BIE Telangana, TS SSC/10th Class Examinations May/ June 2017 Time table donload, Telangana SSC Board Suplplementary Exam Fee Date Extented upto 22nd May 2017. 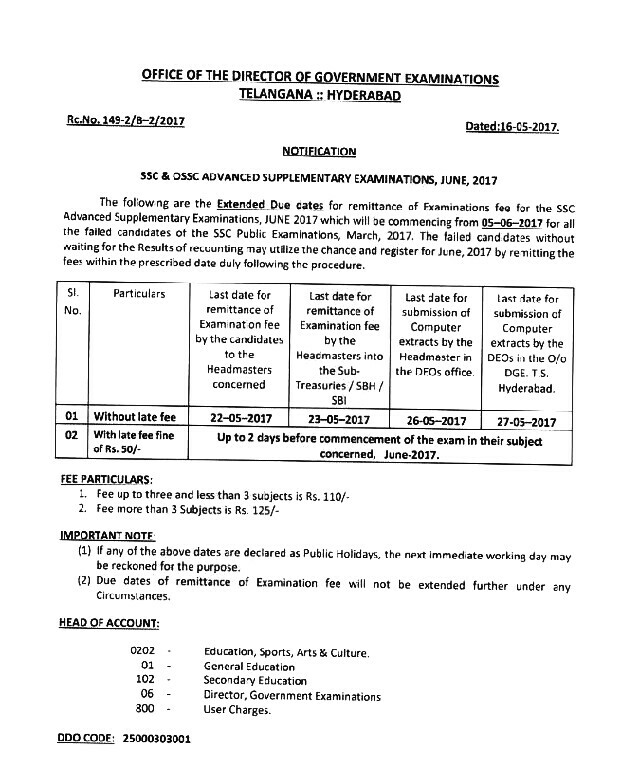 TS SSC/10th supplementary examinations are scheduled from June 5th 2017 to 19th June 2017 between 9.30 am to 12.15 pm. TS SSC Board Authorities, advised the failed candidates to remit the SSC examination fee by 18th May 2017 without waiting for results of recounting. The Examinations will be conducted only for the candidates who registered and failed and who were absent in the SSC Public Examinations, &nbsp;held in March 2017 and no fresh candidates will be permitted.